A portrait of Thomas P. "Boston" Corbett, who was the Union Army soldier who killed Abraham Lincoln's assassin, John Wilkes Booth. Corbett, who homesteaded near Concordia, Kansas in the late 1870s, was hired as a doorkeeper for the Kansas House of Representatives in Topeka, Kansas. On February 15, 1887, while performing his doorkeeper duties, Corbett pulled a pistol and unofficially adjourned the House. 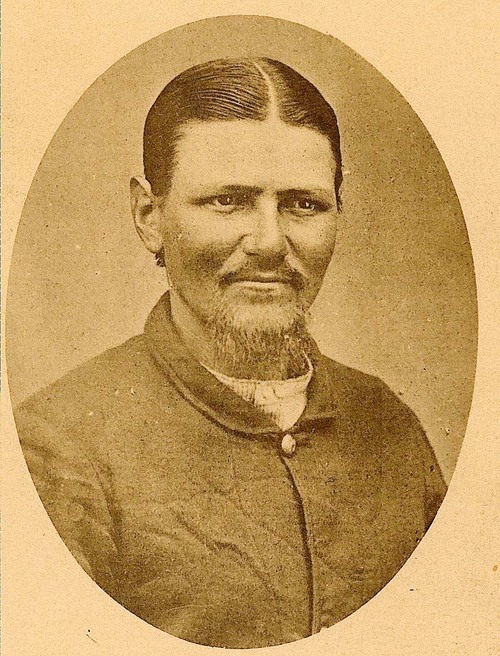 He was disarmed by local police, declared insane, and committed to the State Insane Asylum in Topeka. He escaped a year later.